Opening today at New York City's Heller Gallery is "Memoria Technica: Old Venetian Glass," a solo exhibition by artist Kim Harty who serves as the head of the glass department at the College for Creative Studies in Detroit. The title, "Memoria Technica," refers to a mnemonic device -- a system for remembering things -- which is appropriate as the works' main subject is object memory. The exhibition includes photographs and small-scale sculptures that extend upon Harty's 2013 project in which she made slow-exposure light drawings in total darkness to reproduce her impressions of 72 historical glass vessel forms she discovered in a book of the holdings of Czech collector Vojtech Lanna simply titled Old Venetian Glass. 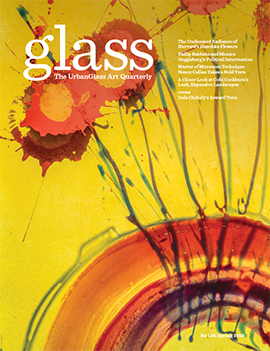 The resulting photos featured Harty's blurred body in the background with the lines of light a relic of her hand movements, which brought home the relationship between these glass vessels and the human body. The work in the Heller exhibition takes the translation one step further. Working with a expert in 3-D printing, Harty has created new objects based on the photographed light drawings which bring the project back to three dimensions. 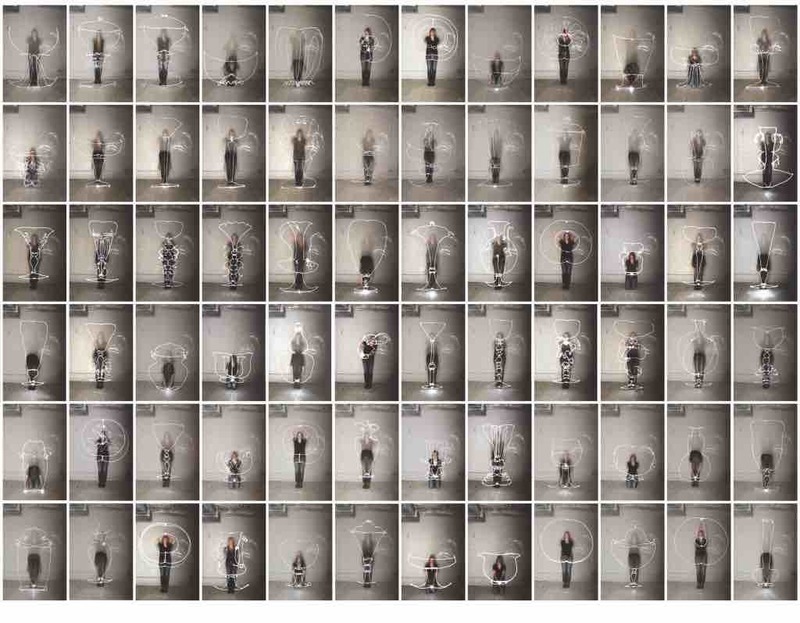 Harty's original project, which grew out of a Pilchuck Emerging Artist residency in 2013, was the realization of her longtime interest in mapping movement through slow-exposures and light markers. This technology was used in the early 20th century by experts in scientific management looking for ways to make industrial work tasks more efficient. She was also inspired by Picasso's "light drawings" that appeared in a Life magazine feature in 1950. 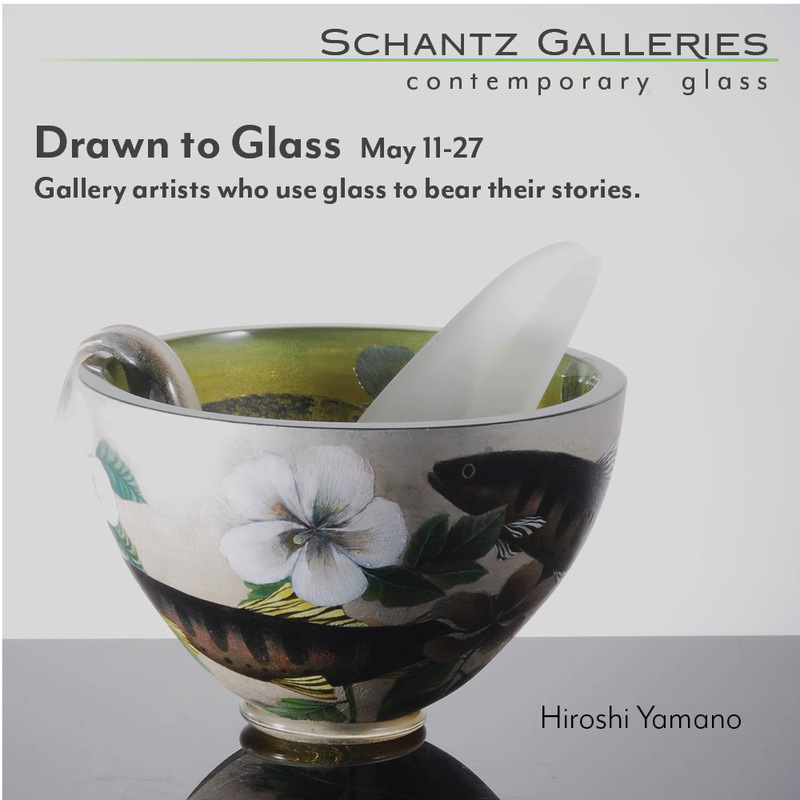 "This was a really pent-up idea I had thought about for a long time before I was able to execute it at Pilchuck," Harty told the Glass Quarterly Hot Sheet in a telephone interview. Five of Harty's original 72 memory drawing photographs were revisited and turned back into three dimensions in the Heller exhibition. 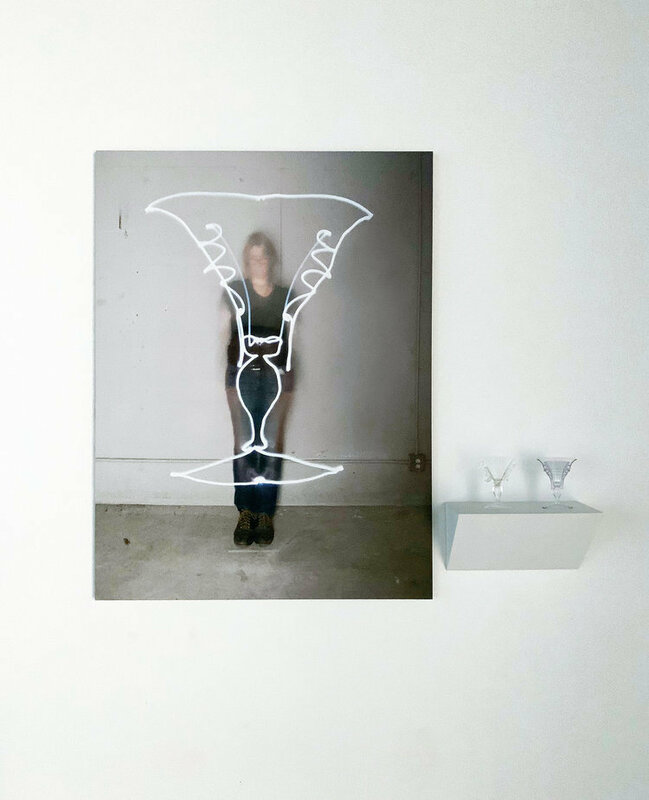 The three-dimensional objects (two variations on each) are displayed alongside a large-scale aluminum print of the light drawing it is based on, creating a dialogue between the photograph and sculpture. Asked how this newest work relates to the original photographic project, Harty said: "I see it as a continuation. I think it’s great to be able to mine old work and continue to explore and kind of grow the ideas that are contained within it. This show expands upon the original work, it's just separated by several years." "Memoria Technica: Old Venetian Glass"